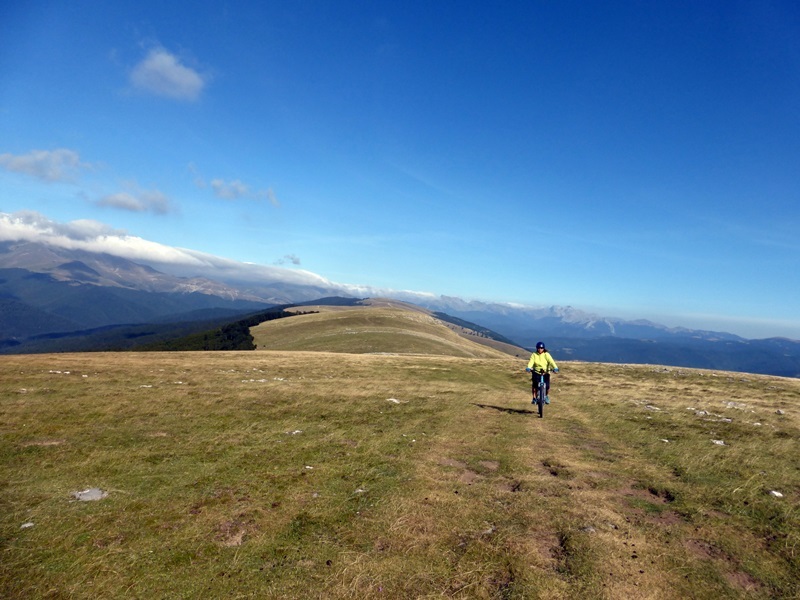 This month we did several mountain bike routes in the Navarre Pyrenees in the area of ​​Irati. The rain forced us to leave our bikes parked in Larrauthe first day, but we took advantage of the situation to visit the stunning nearby suspension bridge and it encouraged us to make a long circular trek from the same village. 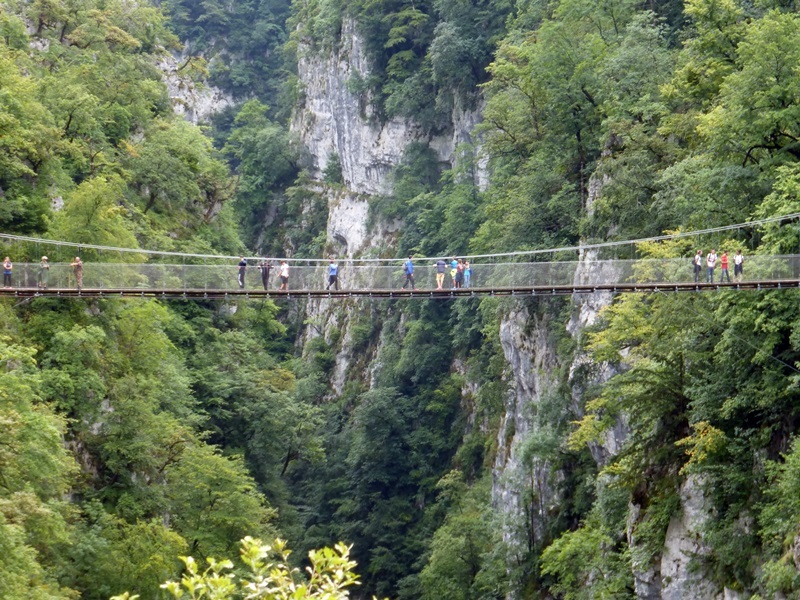 The experience let us discover the beautiful and fantastic landscapes surrounding the valley of the Holzarte Gorge. The following days were spent in the Navarre of Irati. The first route we biked along a track that follows the course of the river Txangoaka, up to the confluence of the Camino de Santiago, near the pass of Lepoeder, the highest point reached by brave pilgrims who perform the first stage of Sant Jean Pied de Port to Roncesvalles and one of the toughest stages on mountain bike in the Pyrenees on the way to Santiago. Some of our riders were encouraged to climb the nearby Menditxipi enjoying extraordinary views of the Pyrenees. Finally we descended Ibañeta Pass to approach Roncesvalles that was very lively with a lot of walkers on the way to Santiago. The return was through the dense beech and spruce forests up the Nabala Pass and a fast and fun descent to La Fabrica of Orbaizeta. The third day was the most intense of the week. We did the route that circles Irabia Dam until Casas de Iratithrough a dense beech forest. A special and beautiful contrast between the greenery of the forest and the blue of Irabia. After this we took a path until the solitary and bucolic Koista Dam. From there a long uphill path took us to Pikatua before reaching La Sierra de Abodi. When we went up the last incline and turned to look behind us we saw one of the most beautiful views of the Pyrenees. It’s difficult not to be impressed by the 360º view of the Navarra and Aragones Mountains. Luckily this wonder continued for the kilometers that we rode through the Sierra de Abodi, between cows and horses that seem to enjoy this paradise with full liberty. Finally the most advanced part of the group went down directly to Casas de Irati on a nice trail with a quick technical descent. There we reunited with the other part of the group and returned to Irabia and then to the Mendilatz Hostel. We did the trip on electric Haibike bikes, some lent by Noulimits and others of Biking Through Spain. 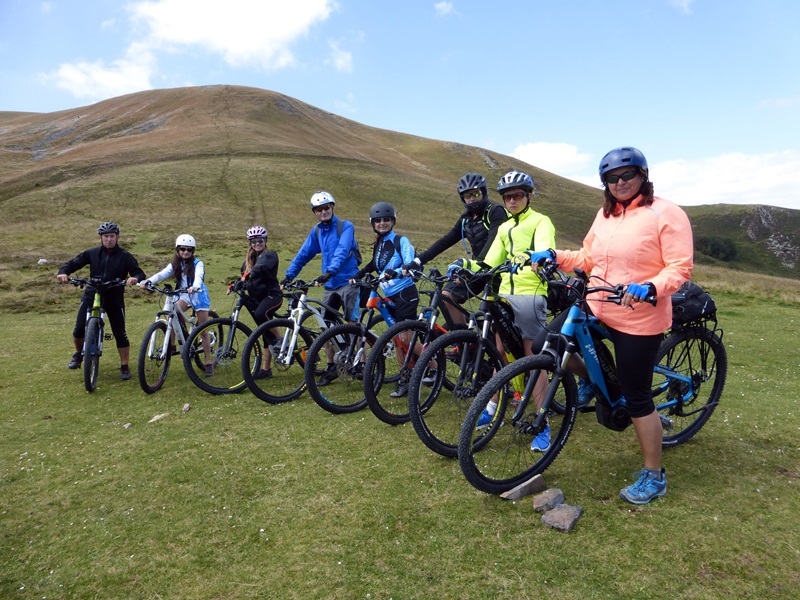 The bikes’ capacities were enough to deal with more distance and inclines and also for the participants to fully enjoy the descents. 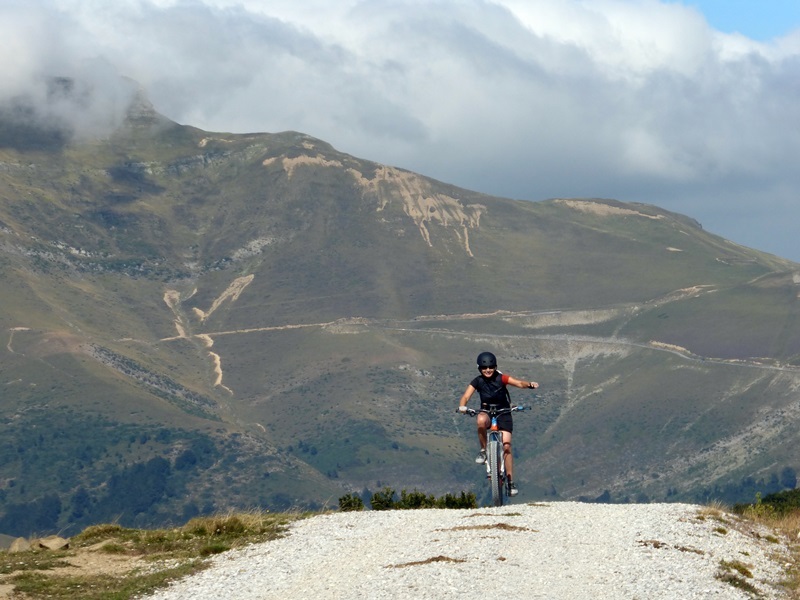 The immense zone of the Irati forest is perfect for the use of MTB in the Pyrenees. 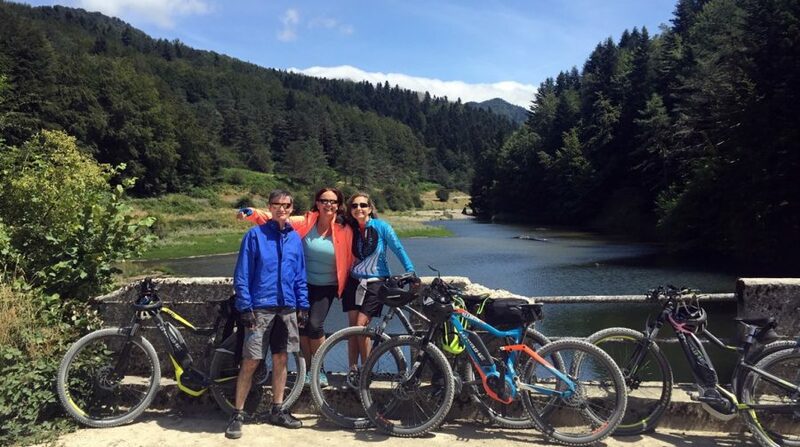 This zone shares some routes of the Transpyrenees on MTB and Transpyrenees cycletouring and is one of the most pleasant for crossing savage nature on bike. Crossing the Sierra de Irati.